What tests will the laboratory perform? Your health care provider will order the lab tests necessary for your medical care. They can be used to monitor your wellness, to determine why you are not feeling well, or to monitor a treatment for an illness you know you have. A lab test done on a small sample collected from your body can give your provider information that can help save or improve the quality of your life. Some tests are performed locally, and more specialized tests may be sent to a reference laboratory. Who will take my blood test and what can I expect from this? The phlebotomist is a specially trained person who collects your blood specimen and is often the limit of a patient’s laboratory experience. The laboratory depends on the phlebotomist to collect quality specimens that lead to quality lab results. The phlebotomist is trained to do this in a professional, skillful, safe and reliable manner. Nobody particularly enjoys having his/her blood drawn. The phlebotomists have high standards and they will do their best to collect the specimen as painlessly as possible. However, this is an invasive process which uses a needle to obtain a blood specimen from your arm or your finger with a very small object called a lancet. There will be some discomfort, which will be similar to a bee sting. Where does my specimen go? Who works in the lab? Your specimen goes to a laboratory to be tested. A highly-skilled medical team of pathologists, technologists, technicians and other specialists work together to determine the presence, extent or absence of disease, and provide valuable information needed to evaluate the effectiveness of treatment. Though the laboratory professionals spend less time with patients than doctors and nurses, medical lab professionals are dedicated to patients’ health and safety. We know your provider will base your treatment on our results. We are committed to giving your provider accurate and precise results in a timely manner. What about other specimens that do not involve a blood draw such as cultures and biopsy specimens? What happens to them? Your specimen still comes to the laboratory to be tested by the same medical lab team. Cultures are used to determine the source of an infection and determine appropriate antibiotic treatment. 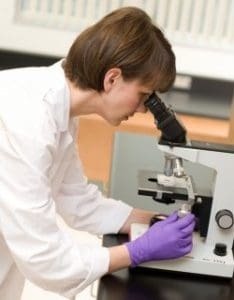 Biopsies are assessed and the tissue is stained to identify normal and diseased tissue requiring review and interpretation by a specialized physician referred to as a Pathologist. The laboratory will send your test results to the health care provider who ordered the test. Your provider will give you your results either by phone, at your next office visit, or by mail. If you are unsure of how you will get your results, please call the provider’s office that ordered the tests. My Winona Health is also offered as a secure method for patients to access their personal results online and from any where. How soon will my provider receive my results? It depends on the test that is being performed. The majority of laboratory testing is performed the same day as the specimen is collected and your provider’s office should have these results the following day. Some tests may take longer if we send the specimen to an outside reference laboratory. Culture specimens or biopsy specimens may take as long as three days because of the nature of testing these specimens. Who will explain my test results to me? The provider who ordered your tests will be the one to explain your results to you. Because your provider is the one who knows why they ordered the tests, they are the best ones to see how the results fit into your total health care. Is there any place I can get general information about the tests I had done? The website: www.labtestsonline.org is a public resource providing accurate information about laboratory tests. Monday – Friday: 6:30 a.m. – 5:30 p.m.
Saturday: 8:00 a.m. – 11:30 a.m.